Hey there and welcome to another Yo-kai Watch 3 guide! Today, we’ll be talking about QR Codes and how to use them! 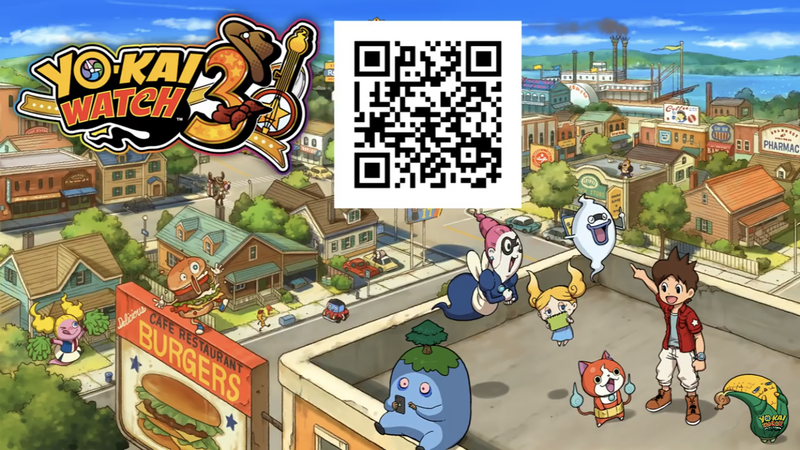 Fans of the series, should be used to how QR codes work in the game, but for those who aren’t they give you free items or even the chance to battle Yo-kai! All you have to do is go to the receptionist at either Bank locations in BBQ or Springdale, and they’ll ask you to scan a QR code with your 3DS camera. For ones that give Yo-kai you’ll receive a special item that’ll allow you to find the Yo-kai. Below you’ll find a list of officially revealed codes. As always, we hope you found this guide helpful! Queen USApyon and Komajir0 10 are in a Abdallah video. Considering he’s a confirmed YW Influencer, and he posted the video on YW’s Twitter page and they didn’t say anything, they’re most likely legit.